What a lovely treat! Your bike ride sounds so lovely-I too love bike rides, especially when it’s beautiful outside like you described. God is such a majestic artist. Wow, that icing looks amazing on those muffins and I’m sure they are delicious. 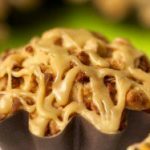 Our leaves were extraordinary this autumn…I can only imagine the beauty you saw against that Carolina blue sky 🙂 Your muffins look incredible…I may have mentioned my love of baked goods with apples…and this is truly a winner. I’d be eating two per sitting, as well! Do you know that this is the first year since I moved down here that I’ve really been able to celebrate fall like I used to? Once I got to the point where I really hated real winter, fall became that thing that happened that meant that winter was almost here. It’s taken me 15 years to really enjoy it again so I am absolutely reveling in all those things you talked about. I could easily be convinced to revel in those muffins as well, given a chance! They look amazing. That’s so funny because just as I saw your comment, I was on the phone to my hubby requesting he run into the store for me on his way home! 🙂 What would we do without these hubbies? Just when I said I wasn’t going to bake anything for while, you’ve tempted me. They are gorgeous! I can just picture the scene of the beautiful leaves. Nature’s pretty wonderful isn’t it?! I would say have a muffin for me but I think you already did! Looking forward to reading about mouse’s photography tips. These really look yummy and so much like fall. It’s the perfect time of year for a bike ride especially when all the trees are changing colors. Soon they’ll all be bare. 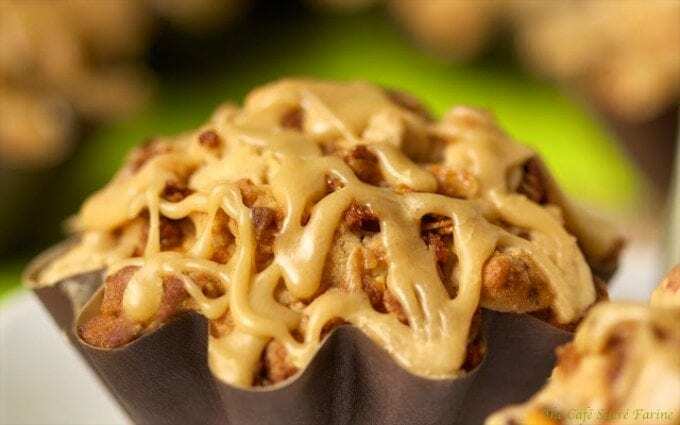 These muffins look fanfreakingtastic with caramel drizzle! Thank you for sharing your never-fail recipe. Thanks for your comment. I love those rays of sun too, always feel like we’re getting just a tiny glimpse of His glory! Thanks for your observant eyes regarding the crumble. I fixed the recipe both on my web page and on the printed recipe site! I think you’ll love these! Thank you so much Chris, appreciate the update. I want to go outside! (whinny inflections here) Please! 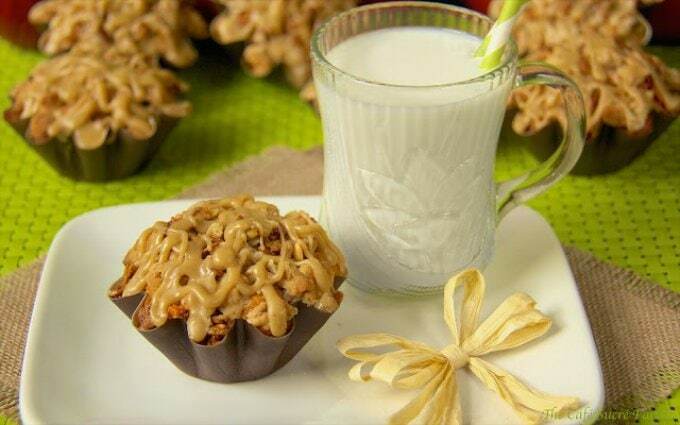 And I want some wonderfully delicious apple muffins at home waiting on me! Beautiful recipe and post – thanks for a mid-morning adventure. A very pretty photo! Looks delish. I actually did five posts about the workshop if you scroll back to last week. Thanks for stopping by! Autumn is my favourite season too, I love your description of the leaves and the sky, just wonderful. I often think when one looks up and sees the beautiful rays in the sky it is God looking down on us, it takes my breath away. I love apple muffins! Yours look out of this world! I just want to rip the tops off of each muffin and eat them up!! Fantastic muffins and jealous of your amazing cooking trip! Will there be a post about it? Can’t wait to hear more about the photography tips, but in the meantime, these muffins look to-die for (and I love the change from ordinary muffin shape! ).